Buying plants at local nurseries or in the garden section of big-box stores is convenient, but the selection can be disappointing or uninspiring. How many times have you stopped at the local garden center intent on buying, for example, an orange daisy-type flower, only to find it sold out or looking bedraggled? Rather than settling for a different color or a different plant, consider shopping online instead. Mail-order nurseries have—pardon the pun—grown so much in recent years. They often outshine local garden centers with wider selections and unique plants. Many online nurseries are willing and able to grow plants that you’ll never find in the walk-in places. Just as an example, I wanted to have a fothergilla shrub (beautiful spring flowers, spectacular fall foliage) in my front border, but space was limited. I found a “dwarf fothergilla” at a small mail-order nursery and ordered it—problem solved! You will definitely find plants and colors you never see anywhere else. Also, online retailers tend to be more knowledgeable because they grow the plants themselves. They’ve raised their wares from infancy, keeping an eye on health and pampering them until the plants reach salable size with a strong root system. Unlike at big-box stores, where sales staff may not have extensive knowledge, online nurseries generally provide detailed information about the growth and care of each plant. Critical to know are watering needs, mature height, sunlight requirements and whether the plant can be expected to perform well in your particular climate and soil. Note: Mail-order plants are not much more expensive than locally available ones, even with shipping and handling charges included. Yes, the garden centers at big-box stores sometimes offer great deals—but so often, you get what you pay for. At big-box stores, plants are sometimes tired-looking. Search by your specific requirements. 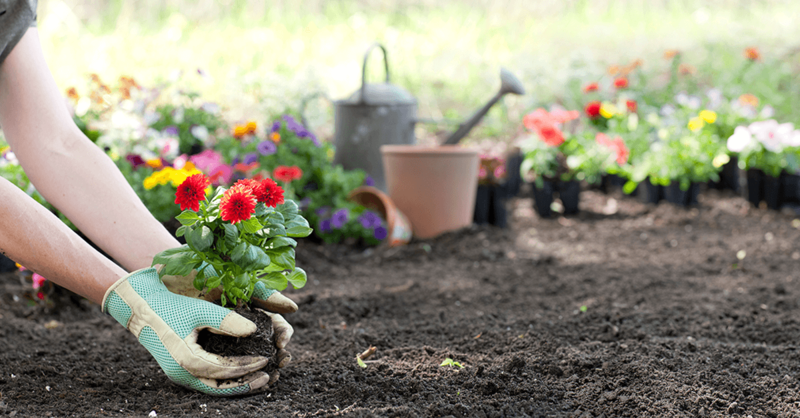 Use descriptions of the types of plants that are important to you such as “low maintenance,” “drought tolerant” or “heavy flowering.” Some sites, such as BluestonePerennials.com, additionally have targeted plant finders that can help you find your perfect plant. Select your desired plant height, current soil condition, sun-shade amount, desired bloom time, flower color and more from a drop-down menu and you’re on your way. Example: If you live in a zone 7 planting area, have sandy soil and full sun, and are looking for a tall plant (36 inches plus) that will flower in the late summer and early fall, the plant finder can help fill your need by suggesting a beautiful pink Hollyhock Old Farmyard for $14.95 or brightly colored ­Salvia Windwalker Royal Red for $17.95. Buy direct from growers. Most mail-order nurseries also are the growers. They deal in strong performers for their region, and they really know all about the plants that they sell and what those plants need to thrive. How do you tell if you are buying grower-direct? This fact is quite likely to be trumpeted on the first page of the ­catalog or on the website’s landing page. Alternatively, call the vendor and ask. It’s a good idea to snap a picture of the problem plant, however, in case they ask to see it. And if the packaging was damaged on arrival, also save a picture of that. This can help ensure a stress-free return. Get just-in-time shipping. Mail-order and online nurseries will use your zip code and reference the USDA Hardiness Zone Finder data so that they ship plants to you only when the temperature is right and it’s time to plant them in your ­garden. If you aren’t able to plant when the package arrives, open the box and take out the plants ASAP, discarding packaging materials, and immediately give the plants a drink of water. Keep them in a cool, shady spot until you can get them into the ground—which you should do within a few days of their arrival for best results. Specific planting instructions are always provided for you to follow. Be sure that you are not going to be out of town when the shipment arrives. Inspect your plants right away. Sometimes mail-order plants arrive in small pots…other times they arrive with their roots carefully wrapped in sphagnum moss, plastic wrap or damp newspaper. They may be smaller in size than what you can buy locally but bear in mind that lighter items are cheaper and easier to ship…and top growth may have been deliberately sheared off for the journey but will be quickly replaced by new growth once you plant them properly. Upon arrival, look at the plants’ root systems. Healthy, “crunchy” white roots are good and poised to power a good show once planted. But you should complain if the roots arrive dried out, black or wiry. The following are some of my top mail-order sources of plants—all meet my criteria for selection, quality and good service. And all are direct growers. You also can visit ­DavesGarden.com for a list of mail-order companies, ranked and reviewed by users. • Annie’s Annuals & Perennials (Richmond, California). Offering perennial and annual flowers. What I love: The irresistible selection of hard-to-find, pretty cottage-garden flowers. • Bluestone Perennials. (Madison, Ohio). Offering perennial flowers, shrubs and trees. What I love: Its plant-finder function, which helps you zero in on the plant of your dreams. • Forestfarm at Pacifica (Williams, Oregon). Offering shrubs, plants and trees. What I love: There’s an exciting ­array of unique and wonderful flowers. It’s easy to find everything from a ­butterfly-attracting dwarf hummingbird mint perennial to a tall, deer-resistant Big Bob hardy orchid! • Heirloom Roses (St. Paul, Oregon). Offering a vast selection of roses, many types and hues. 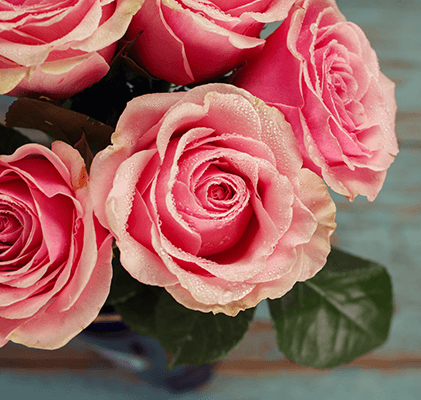 What I love: Who knew that there were so many different beautiful roses? Heirloom Roses carries hundreds of varieties, including rare ones that you would never find locally. Customer service is excellent. • Logee’s Greenhouses (Danielson, Connecticut). Offering houseplants, tropical and tender plants, begonias. What I love: The “New Introductions” section features new plants for 2019. The site has lots of color photos and detailed descriptions. It offers special plants you won’t find anywhere else—even a coffee plant! Great place to look for a hostess gift. • Plant Delights Nursery (Raleigh, North Carolina). Offering perennial flowers and hostas. What I love: The interesting new varieties and colors of familiar plants and the expert staff.